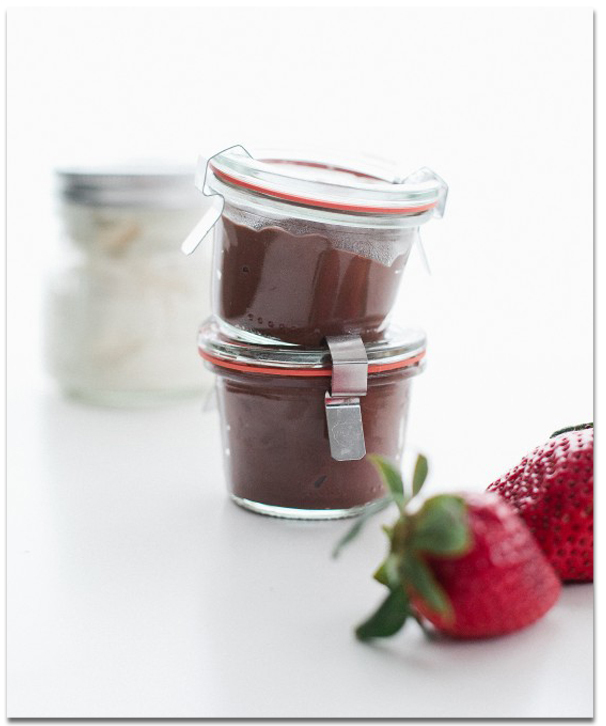 I think Chocolate pudding is the perfect way to end the week. This recipe is perfect for families on the go because of the super cute mason jars that Ashley from Not without Salt dreamed up. Don’t forget to check out our other recipes from this week like roasted chicken, berry tartlets, strawberry cupcakes, and watermelon salad. Thank you SO much to our amazing foodies, and bloggers for sharing these delights with us! We had SO much this creating recipe week, the week after next, is FIVE FUN filled days of GIVEAWAYS! Give away week is next week and we are featuring some amazing brands like Serena and Lily, and more! Combine the cornstarch, sugar and salt. Whisk well to remove any lumps. In a large saucepan bring the milk to a boil to a simmer. Add the sugar and cornstarch mixture and whisk together for one minute, or until thick. Turn off the heat and add the chocolate. Whisk until the chocolate is melted and everything is well combined. Transfer the pudding to a bowl, or individual bowls, and place wax paper or plastic wrap directly on the surface to prevent a skin from forming. There’s no recipe except to add as much bourbon as you think necessary to a bit of whipped cream. I added nearly 2 tablespoons to about 1 1/2 cups of already whipped cream. La Petite Peach in Europe!